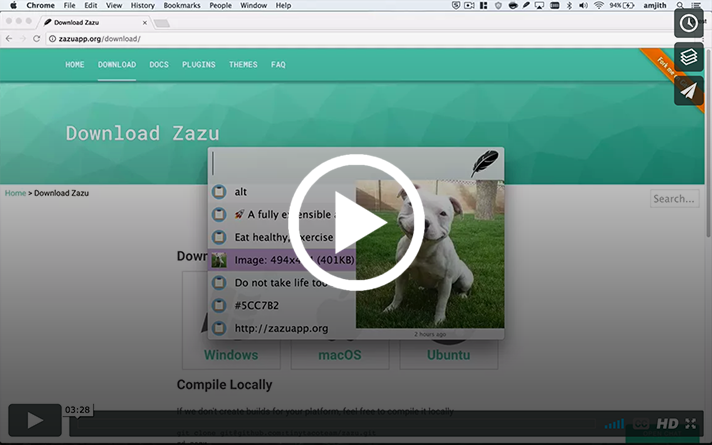 Zazu, is a cross platform and fully extensible and open source launcher for hackers, creators and dabblers. Download it from the releases page. 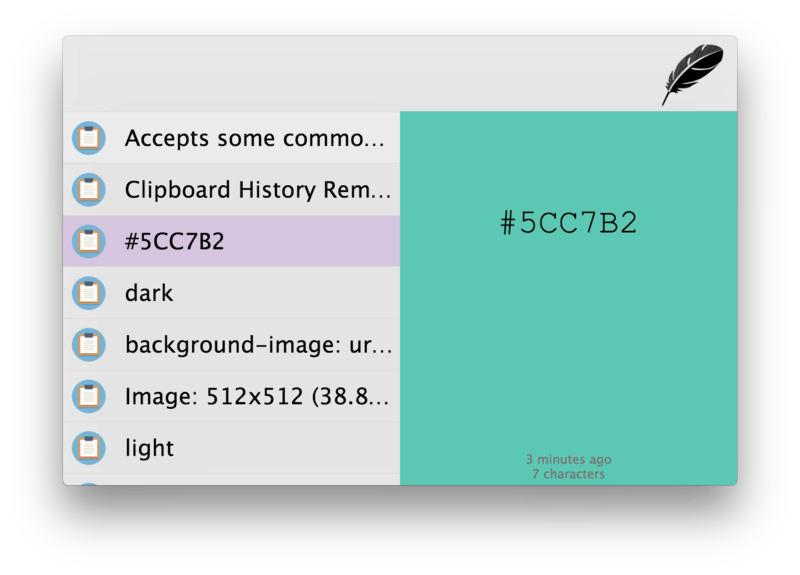 Zazu was created to be a fully open source alternative to Alfred, but also be completely plugin based. You can remove any functionality you don&apos;t like, so if you hate the built in calculator, just get a new one! Remembers things so you don&apos;t have to! Fuzzy search and browser all the things you&apos;ve copied. To deploy simple update the version in both package.json and app/package.json (eg 0.3.2). After comitting you can tag the release, but be sure to add the v in front (eg v0.3.2). Push the commits then the tag. The CI servers will upload the assets once the tests are done passing, the new release should be a draft, so once all assets are published you can publish the release on GitHub. Lastly, you should re-publish the docs. Zazu uses the doc website to see if a new release is available so doing a quick release will allow others to download the newest version. Simply run npm run docs:publish.